Carter was a schoolmate of Lily’s in the Before. Managing to evade capture until now, he has valuable knowledge of the outside world. But like everyone on the Farm, Carter has his own agenda, and he knows that behind the Ticks is an even more dangerous threat to the human race..."
First line: "Some days, you just want to let the bad guys win." Thoughts: Welcome to the post apocalyptic world. Ticks aka zombie like vampires are taking over the world, and you're just along for the ride...sort of. When humans are practically pigs for slaughter, what are you going to do? This is the world that Miss McKay has built for us. Packed full of action, suspense, twists and turns, THE FARM is a terrifying journey that will have your heart racing till the very end. Who will survive? Only time will tell. Remember the University of North Texas? I sure do, and that's what it is now: A distant memory. What was once a university for students to study at is now a farm where surviving teenagers are quarantined, and the only thing that protects them is an electric fence. Outside the fence are bloodsucking ticks who sense teenage hormones and favor them best. Wouldn't you rather be inside the fence than outside it? The thing is, the farm isn't the sanctuary you think it is. This safe haven for teens is all grand until you hit the lovely age of eighteen. After that, you're kicked off the farm and sent somewhere else. Where? Home, perhaps? Probably not, but Lily isn't sticking around to find out. She needs to run and run fast. The thing is, she can't leave her autistic sister, Mel, behind. Along with an old crush name Carter, Lily and Mel escape the compound and literally run for their lives. One of the things I loved about the book is how the author decided to not only tell the story through Lily's eyes but also through Mel's and Carter's. 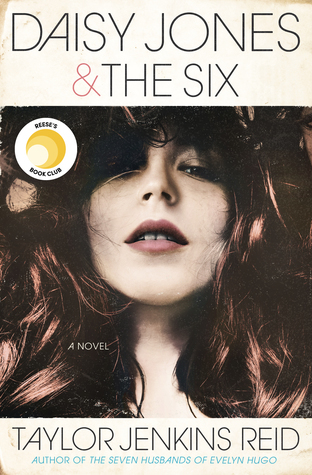 As a sucker for multiple points of views, I was interested in seeing if the author would give each character a distinctive voice and whether or not it'd take away from the overall story. Folks, it was beautifully done. Not only did it not take away from the novel, but it also enhanced it. Even though Lily is the main character in this story (and a feisty little thing at that) , I couldn't help but fall in love with Mel's character the most. She knows more than she lets on and part of the fun is figuring out what it is and what she'll do. Now, with all this danger, I'm sure you're wondering whether or not this book has any romance to offer. Well, I'm here to assure you that yes it does. It's minimal but it's there, and it is fabulous. It's remarkably easy to fall in love with Carter and even though him and Lily have this ridiculously complex relationship, you can't help but cheer for them. Besides, aren't the complicated ones your favorite? I know they're mine. 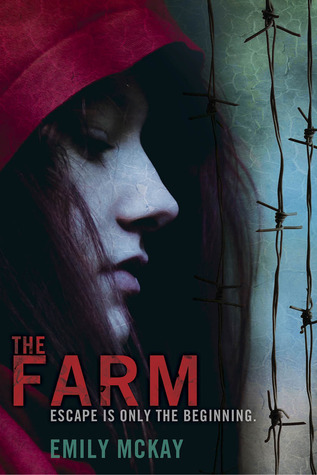 Overall, THE FARM is an original and enthralling novel that will intrigue fans of Carrie Ryan and True Blood. If you love books packed with action that will have you guessing till the very end, this is the book for you. Personally, I cannot wait to see where the author will take us next on this incredibly journey and really, isn't that the mark of a truly spectacular novel? I think so. 'Why don't you just start at the beginning and I'll stop you when you've won me over.'" “'You just told me you didn't intend to love me. You didn't want to love me. You got yourself arrested to keep yourself away from me. That's not love. That's a compulsion. And, by the way, kudos on coming up with the worst pickup line of all time.'" “I worry about Lily, sluggish as she is. Will she see Carter's truths? Will he tell her? God knows she won't hear them. She's moving too fast to hear anyone's music but her own. She's so set, but I know he could make her settled. I tried to sync their noise into music, but they both pushed back. Too obdurate to be oblong. This certainly sounds like it would be a fun read! I've been shying away from zombie/vamp books lately, but I may just give this one a try. I didn't know there are multiple POV's, but I like that. It gives so much insight to the story if the author uses it in a good way :D I recently got this book from my boyfriend and I can't wait to read it. I'm a sucker for vampires and I loved Carrie Ryan's books :). Awesome review! I just picked up the ARC for this, and your review has me excited to dig right in. Sounds like my kind of story. I enjoy reading about books I'm not familiar with and your review was very well done. I wish more people would include quotes from the books. They give one truer feeling for what lies between the cover, than just the synopsis or review, alone. I've seen other reviews for this and everyone seems to love it! Hopefully I'll check it out too!